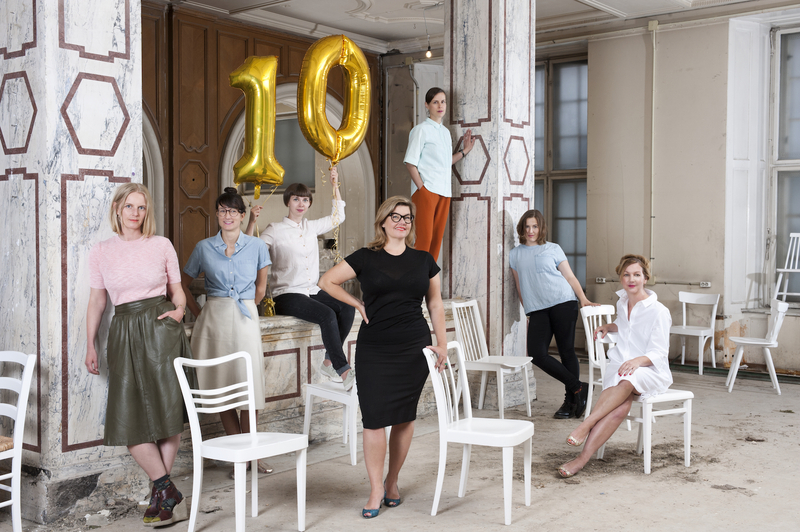 In its anniversary year, Vienna Design Week has gone firmly saccharine-sweet: For this milestone birthday, the Viennese design festival is spreading festive cheer with a candy-colored ten in its logo. 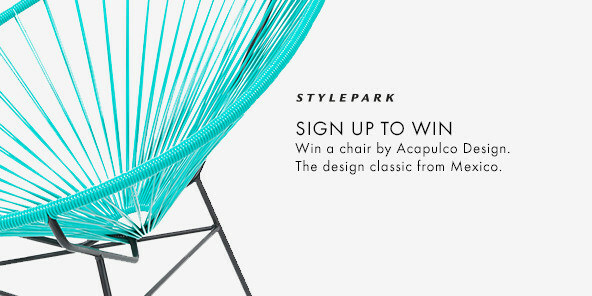 Yet the design week is actually anything but twee-sweet. While some festivals focus on celebrating trends and courting celebrities (the carrot approach! ), the Viennese festival makers in director Lilli Hollein’s team don’t shy away from more cumbersome design topics (the stick method!). And they’re keeping to their game-plan this year, too: After what are now ten years we have witnessed how even a short event can create continuity. The program this year again offers a colorful mix of innovation and tradition, of the familiar and reinvented. Thankfully the high standards the Vienna Design Week has set for itself have in no way culminated in a bland presentation. The Viennese certainly know how to do hospitality, and the candy cane ten turns out to be just an amuse-gueule. The festival presents itself once again as an uncluttered puzzle of well-defined formats such as “Focus District”, “Guest Country”, “Passionswege”, “Stadtarbeit” and “Debut”. New this year are the “Magazine” and “Industrial Design” sections. All of these reveal the festival maker’s strengths as congenial networkers who bring the international design scene, local initiatives, business and politics into contact with each other – without doubt to the benefit of all the parties involved. One of the “Passionswege” projects sees Vienna’s Neon Kunze corporation join forces with Eindhoven design studio rENs. 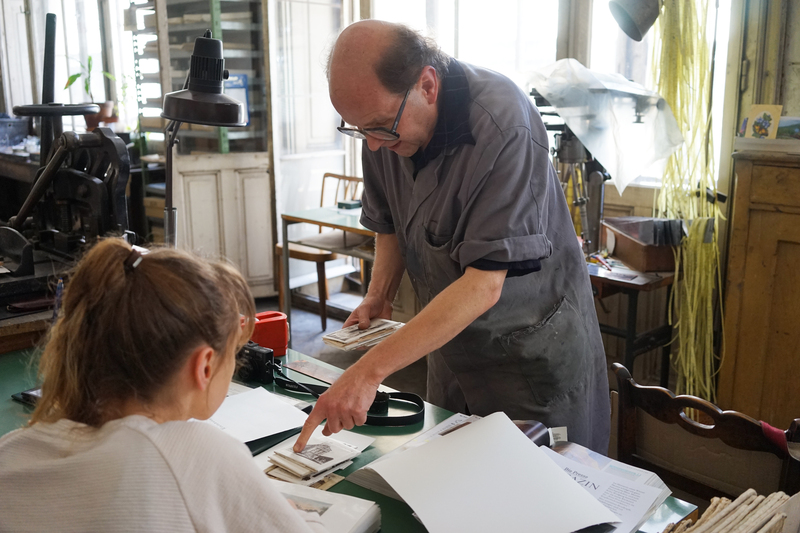 Take the example of the “Passionswege”: Designers collaborate with Viennese manufactories and workshops in developing a joint project for the festival. Freed from commercial constraints (they are paid by the festival) this has spawned concepts, installations and prototypes that in the best cases open up new prospects on what both sides do. This year, graphic designers are featured for the first time with Studio Es, who are producing a poster series in partnership with etcher Wolfgang Schön. Design studio rENs from Eindhoven in turn are investigating the production and color palette of strip lights together with company Neon Kunze. 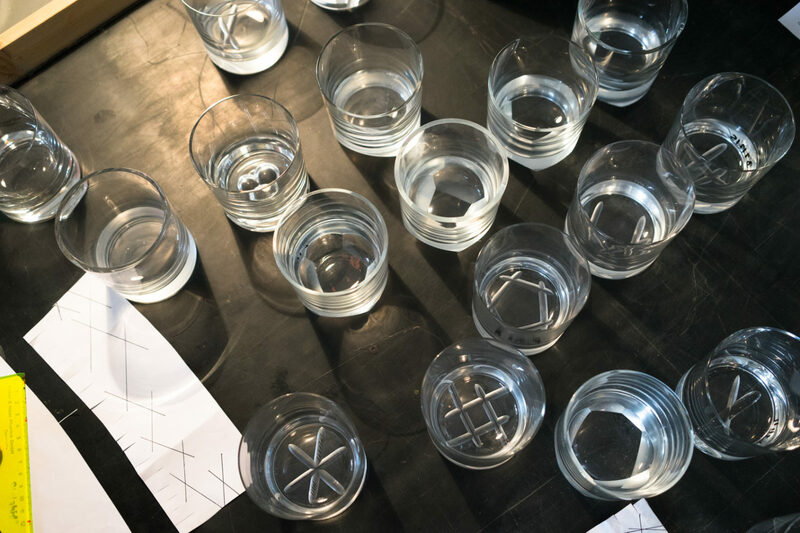 The pairing of glass manufactory Lobmeyr and Martino Gamper is at it again after their successful collaboration last year: This time Gamper is experimenting with decorative techniques for embellishing glass. The success of the “Passionswege” format is based to a great extent on Vienna’s rich artisanal tradition. The city still sees techniques cultivated and materials used that have long since been forgotten in other places. The choice of the Czech Republic as this year’s guest country is therefore as smart as it is obvious. Obvious because Vienna is less than a hundred kilometers from the Czech border. But also smart, because the Czech and Austrians share a great deal of heritage: Some of the leading innovators of Viennese Modernism around 1900 were born inside the borders of what is now the Czech Republic and until the end of the First World War was part of the Austro-Hungarian Empire. Josef Hoffmann, Adolf Loos, Joseph Maria Olbrich were all born in Moravia and yet came to fame as Austrian architects and designers. “With the Czech Republic we are presenting a country with an unbelievably lively and high-quality contemporary design scene”, stated director Hollein, “which like the one in Austria builds on a long tradition of craft and production in manufactures. We are tracing a line from young design studios through the universities and great buildings to the iconic structure that is the Villa Tugendhat.” And they do so for example with the exhibition titled “Generations”, curated by design collective Okolo, or by way of excursions to Mies van der Rohe’s legendary villa in Brno. Ebenfalls Teil der diesjährigen „Passionswege“: Die Grafikdesigner von Studio Es produzieren mit Wolfgang Schön von der Kunstanstalt für Kupferdruck eine Posterserie. The design week is carrying out civic work or “Stadtarbeit” directly on its own door step: Creatives are here implementing projects in a variety of disciplines, bringing the tools of social design to bear in the process. An outsize weaving loom on Siebenbrunnenplatz square, for example, returns textile manufacture to Margareten, the “Focus District” of this year’s festival – and passers-by are invited to join in the weaving. The “Fire Kitchen” also follows a participatory approach: Not only can anyone join in the cooking, but you all need first to fire the crockery, pots and table-top stoves need to be fired in the kilns. Designer Ebru Krubak is now able to continue her Stadtarbeit project “Infrequently Asked Questions” from last year in an exhibition held at the Austrian Museum of Folk Life and Folk Art in Vienna. It is formats like “Stadtarbeit” and the annually changing “Focus District” that show how with their program, the festival makers are reaching out to trade professionals and the public at large at the same time. For its anniversary, Vienna Design Week also wants to create new highlights: For the print format “Magazin”, ten Austrian and international design offices have been invited to turn one festival day each into a magazine page. The fruit of their labors is to result in a festival edition as colorful and filled with different perspectives as the studios involved. The topic of “Industrial Design” is a little less colorful and never flares up quite so bright within the firework of the fall festival – yet industrial products are omnipresent in our everyday life and the sector employs many design university alumni. The Viennese organizers are now trying to sweeten the tougher pill for the general audience – through a series of presentations. An industrial corporation and a design studio each outline the specialized and interdisciplinary processes required for a joint project, which specialized and technological competences are required. And because an anniversary is always a good occasion to pause and reflect, the makers are also taking a look back at what has been achieved: with a study evaluating the work of the festival and a book featuring select Design Week projects. “Stadtarbeit. Ten Years of Design Featuring the City” aims not just to review the past editions, the book also wants to place the festival’s projects in the wider context of current design trends. And the list of authors involved, which includes renowned design critic Alice Rawsthorn, still-museum director and soon-to-be theatre general director Chris Dercon or Design Museum director Deyan Sudjic, reveals just how well connected Lilli Hollein and her team really are. We are thus joyfully anticipating a gratifying Vienna Design Week, which looks to provide a truly sweet experience for all its visitors. Recidivist: Long-standing glass makers J. & L. Lobmeyr and Martino Gamper from Northern Italy worked together as long ago as the first edition of the “Passionswege”. This year, Gamper is experimenting with decorative glass ornamentation techniques. The Vienna Design Week 2016 campaign was designed by Markus Guschelbauer/ Bueronardin.